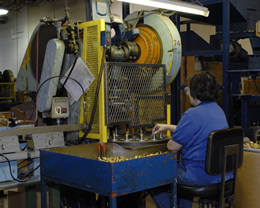 Beyond custom metal stamping, Winzeler Stamping Company is pleased to offer our customers an array of value-added secondary operations that allow us to deliver parts and assemblies that are completely finished. Customers benefit from streamlined manufacturing and single-source responsibility for quality. Winzeler Stamping Company has the capability to perform many secondary operations in- house, only outsourcing when necessary - and only to our trusted network of subcontractors. 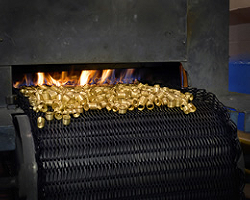 Winzeler Stamping Company routinely works with materials such as: Aluminum, Brass, Eco-Brass, Copper, Stainless Steel, Steel, and other specialty metals. In addition to our custom manufacturing capabilities, we produce a complete line of standard hose ferrules and hose couplings for immediate world-wide delivery. 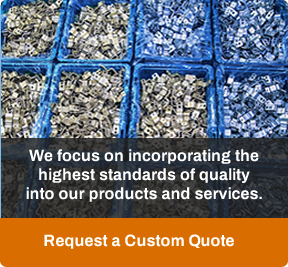 Contact Us to learn more, or request a quote today!